When people talk about investing, they often emphasize getting the most return for their money. If they are getting a 7 percent return on their stock portfolio, they'll strive to get 8 percent. If they are already at 8 percent, they'll push for 9 percent or more. Shooting for a high return is laudable, but what often gets lost in this discussion is the most powerful element of building wealth: saving as much money as you can in the first place. It's important to remember that individual investors can't control stock market returns. They also can't entirely control the cost of commissions, fees, taxes, and the like. They can, however, control their own rate of savings. And there is ample evidence that it is the initial savings, not investment gains, that determines how much you end up with over time. Let's examine this phenomenon further. 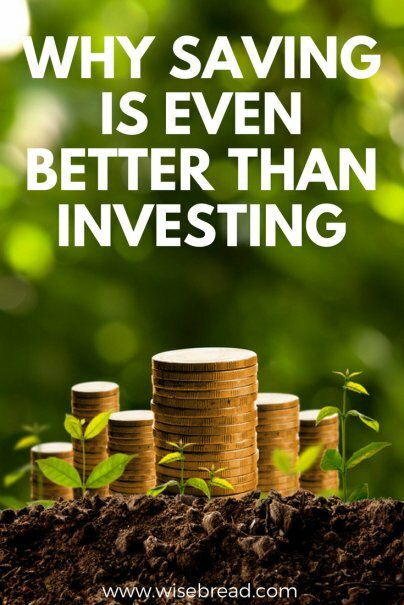 If you save as much as you can, you don't have to stress as much about getting the optimal return on your investments. In fact, a boost in savings can often be more powerful than a higher rate of return. Here are two scenarios to illustrate this point. In the first scenario, you save $5,000 per year for 30 years and get a healthy 10 percent annual return. This results in about $900,000. In an ideal world, you're able to save a lot and get a great return on your investments. When these things happen together, the results can be amazing. Let's revisit the scenarios above. Imagine if you were able to boost your contributions from $5,000 to $8,000 annually while also getting that great 10 percent return. You'd be looking at $1.44 million 30 years later. In other words, that additional $3,000 each year results in $500,000 more over time. Not everyone is entirely comfortable with the notion of investing. There is always an element of risk when you put money in the markets, and everyone's tolerance for this is different. If you don't save a lot of money up front, you may find yourself trying aggressive and risky investing strategies to make up the difference. That cannot only take you out of your comfort zone, but lead to financial disaster. If you have a 401(k) plan through your employer, you are likely eligible to receive matching contributions from the company. For example, the organization may choose to match all contributions up to 5 percent of your salary. Some match even more than that. It's free money, but you don't get that money unless you contribute yourself. With traditional IRAs and 401(k) plans, any money you contribute is deducted from your taxable income. So let's say you earn $50,000 annually and contribute $5,000 into your 401(k). That means only $45,000 is taxed; under current tax law, that's $1,100 less you would pay in taxes compared to $50,000. Investors can contribute up to $18,500 annually into a 401(k). With traditional IRAs, you can contribute as much as $5,500 each year. That is a big chunk of money that can grow into an even more massive sum over time and will lead to big tax savings. If you have a Roth IRA, it's generally not a good idea to take out money before you retire. But, if you run into a financial crisis, you are permitted to take out your own contributions without paying any penalty or taxes. For this reason, there are some financial advisers who say it's OK to think of a Roth as an emergency fund if you have nowhere else to turn.